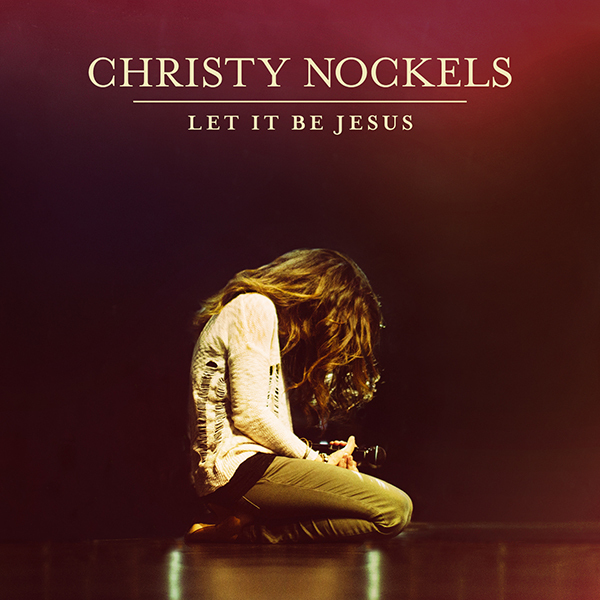 Whether in arenas for Passion Conferences or in the auditorium of Passion City Church, Christy Nockels is known for leading thousands in heartfelt worship, and April 28th will mark the release of her first ever live worship album, Let It Be Jesus. Recorded live at Passion City Church in Atlanta, the album captured a night full of praise to God. "I can't wait to release this offering and to share what a beautiful night this recording was," Nockels said. "Something so unforgettable happened as we worshipped Jesus together in wonder and remembrance." The live album will feature several brand new worship songs along with a new recording of "Let It Be Jesus," which was previously included on Passion: Take It All. As a featured leader at the Passion Conferences, Nockels recently led thousands of young adults in worship at Passion 2015 alongside Chris Tomlin, Crowder, Kristian Stanfill, Matt Redman and more. Her performance of "My Anchor" is featured on Passion: Even So Come, an album recorded live at Passion 2015, released March 17th.